Two weeks ago, if we were to select our makeup bag game changers, we’d immediately gesture toward our eyelash curler and mascara, because long, curled lashes give the pretense of four extra hours of sleep—and help erase the evidence of those glass(es) of red. However, we recently discovered a way to achieve the lushest lashes of all sans makeup and tools. 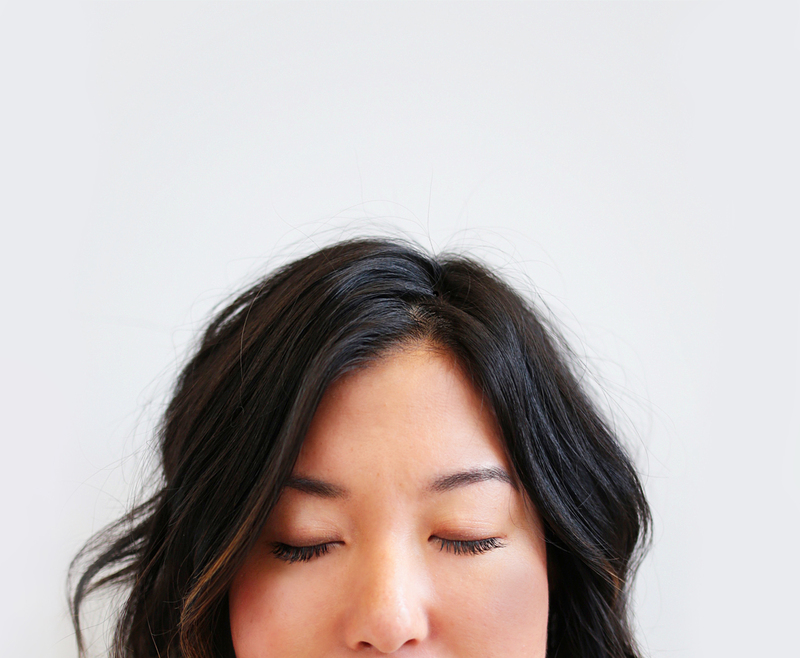 Some call it eyelash extensions; we call it our Christmas Miracle. We’d been hearing rave reviews about the extensions at LashBee, so we booked an appointment last Friday and took a two-hour nap while an extension was applied to each lash. ‘Twas 100% painless and relaxing—our stylist even provided headphones so we could jam out to our LASHES playlist. The final effect? A totally natural fringe that everyone fawned over at Monday’s a.m. meeting. Semi-permanent eyelash extensions are synthetic lashes attached to your natural lash. Unlike false or strip lashes, extensions are glued one by one to individual eyelashes and NOT your skin (meaning you don’t even feel them!). Extensions enhance your natural beauty by adding length and fullness to your existing lashes, while looking gorgeously natural. When properly cared for, extensions will last until the natural lash sheds as it normally would. Exact timing varies, but on average, lashes shed every 6-8 weeks (2-4 per day). Most clients come in for a touchup every 2.5 to 3.5 weeks! Anjali, one of our founders, took a trip to South Korea as part of a class while she was attending Wharton’s business school. Lash extensions originated in Asia and are very popular in Seoul, so she saw lash salons everywhere! All the ladies on the trip decided to get them done and each woman raved about the results – thicker and fuller lashes, with the added benefit of no longer needing to apply eye makeup or worry about mascara running. After returning from Korea, Anjali wanted to keep up with the extensions in Philadelphia, but struggled to find a similar experience and quality. She spoke to a business school classmate, Erin (the other founder), and they began brainstorming ways to make extensions more ubiquitous, as well as safer and quicker. They teamed up with two engineers to develop their own products and they launched the first LashBee location in August of 2015. Why are extensions a great option for brides? We have a strong bridal philosophy: No strips or streaks for your big day! We’ve heard horror stories of brides having to deal with strip lashes peeling off or mascara tears ruining beautiful makeup looks. Lash extensions look flawless in photos (particularly photos where you are looking down at your bouquet or off to the side). They enhance your natural beauty, looking far more natural than strip or cluster lashes—both of which can be easily seen in your high-resolution photos. Plus, they can last throughout the honeymoon so you can jump into the ocean without a care or just feel pretty when you wake up next to your new spouse! What are some common myths about eyelash extensions that you wish to debunk? Extensions look fake: False! You can go as natural or dramatic as you like with extensions. Come prepared to speak with your stylist about the look you are going for and he/she can customize your extensions to your needs. You can always change your style at your touchups, starting natural and working your way up. Extensions will pull out your natural lashes: When properly applied and cared for, eyelash extensions will not harm your natural lashes. Instead, your natural lash will shed as it normally does, taking the extension with it, and a new lash will grow in its place. Before booking an appointment, we recommend doing your research to ensure you find a highly trained and experienced professional. You can’t swim or get extensions wet: You can live life as you normally would! Upon lash application, simply avoid water for 24 hours while the glue cures. Then, feel free to shower, swim, exercise, etc.! We just recommend you gently rinse your lashes after a heavy workout or exposure to chlorine. What advice do you have for brides looking to get eyelash extensions? We recommend trying a full set 6-8 weeks in advance of the big day. That gives you the flexibility to change your style and length with touchups before the wedding.